This was, by all accounts, the smart result for Gareth Southgate and England. So why didn’t it feel that way? 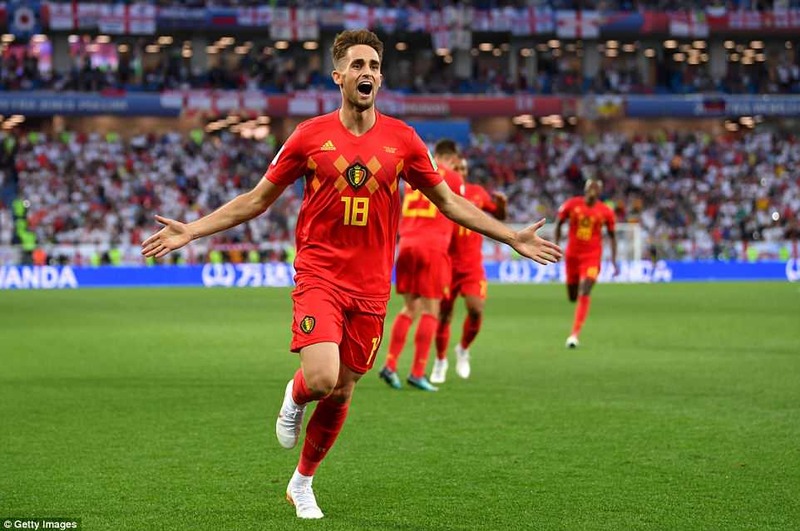 Why, when Adnan Januzaj, stuck an excellent 51st minute shot past his former Sunderland team-mate Jordan Pickford did it feel a little bit familiar, a little bit here-we-go-again, a little bit like England had missed an opportunity to have a real go against a Belgian reserve team, win the group and keep the feelgood factor going through another summer weekend? 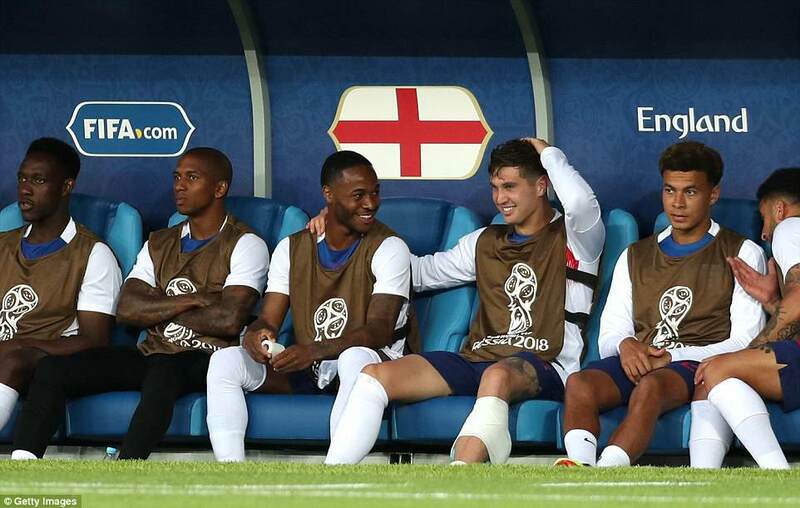 England: Pickford, Jones, Stones (Maguire 45), Cahill, Alexander-Arnold (Welbeck 79), Loftus-Cheek, Dier, Delph, Rose, Rashford, Vardy. Subs not used: Butland, Walker, Lingard, Henderson, Kane, Sterling, Trippier, Young, Alli, Pope. 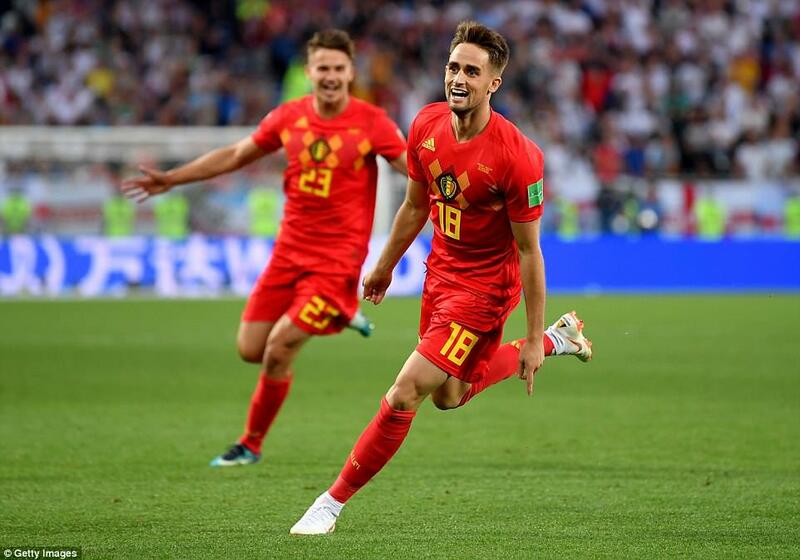 Belgium: Courtois, Dendoncker, Boyata, Vermaelen (Kompany 74), Chadli, Fellaini, Dembele, T. Hazard, Januzaj (Mertens 86), Batshuayi, Tielemans. Subs not used: Mignolet, Alderweireld, Vertonghen, Witsel, De Bruyne, Lukaku, E. Hazard, Carrasco, Meunier, Casteels. England are now in what has been termed the easy part of the draw. No Brazil in the quarter-finals. Handy that. Yet before anyone can start anticipating the last eight there is the little matter of Colombia in the round of 16 on Tuesday. Colombia look useful. 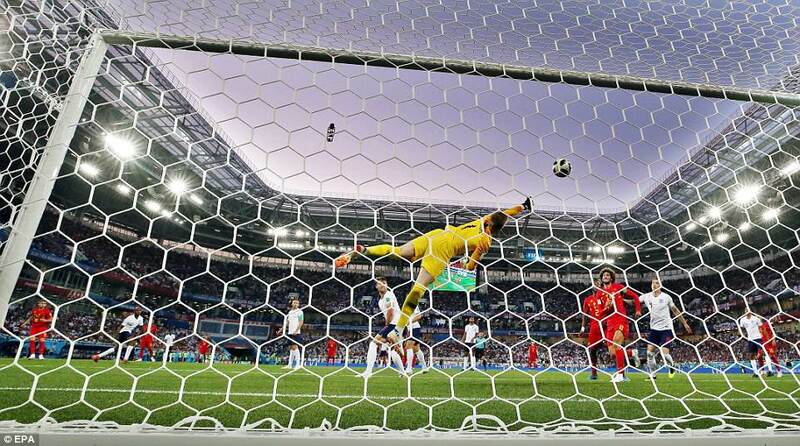 Fast, aggressive, they found a way past a dangerous Senegal team on Thursday – a test far greater than any England have faced so far. Belgium, meanwhile, go off to play Japan. So what was all the speculation about Roberto Martinez wanting his team to lose? It didn’t look that way on Thursday. Belgium were the better side. They deserved their win, conjured early in the first-half when the excellent Youri Tielemans found the mercurial Januzaj, who bamboozled Danny Rose – if it had been Ashley Young playing, you can imagine what would have been said – before lashing the ball smartly past Pickford. 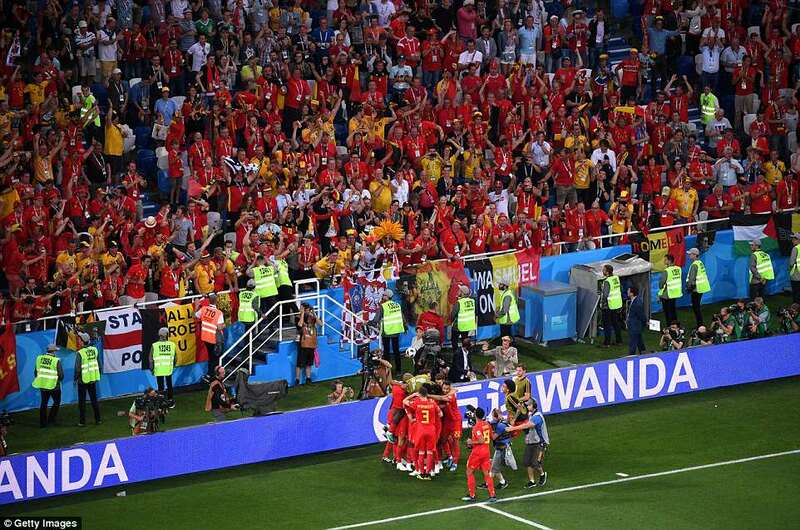 Belgian celebrations didn’t appear false at that moment. Nor did the manner in which they closed the game out. 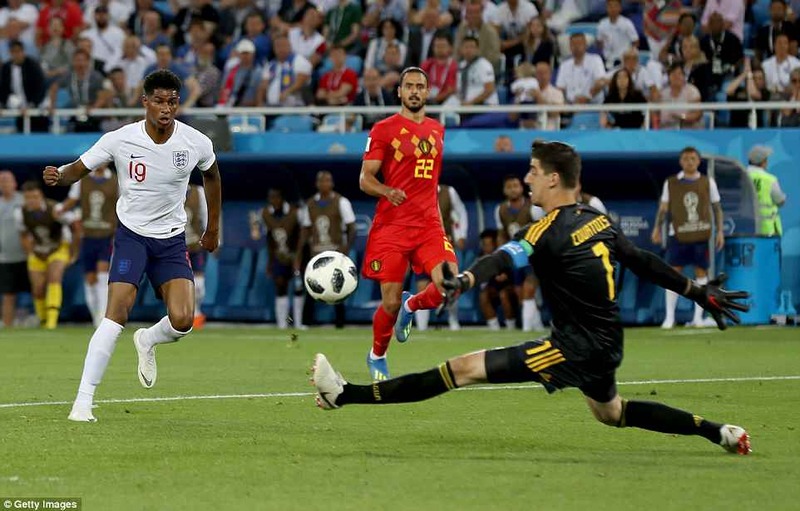 England had one big chance after that, when Jamie Vardy put Marcus Rashford through one-on-one only for Thibaut Courtois to make an excellent save – but Southgate’s side still look at their most dangerous at set-pieces. At times, they also went quite long, too – a worrying trait when ideas are in short supply. So after two wins against weak teams, and a defeat to the first good one they have played – albeit it reserves against reserves – England must now overcome Colombia. It’s the shrewd move, apparently. So why does it seem as if, for the first time under Southgate in this competition, a trick has been missed? At times it was hard to fathom what this was: good, bad or pretty much indifferent. Gareth Southgate said he wanted to win, but then left all but two of his best players out. 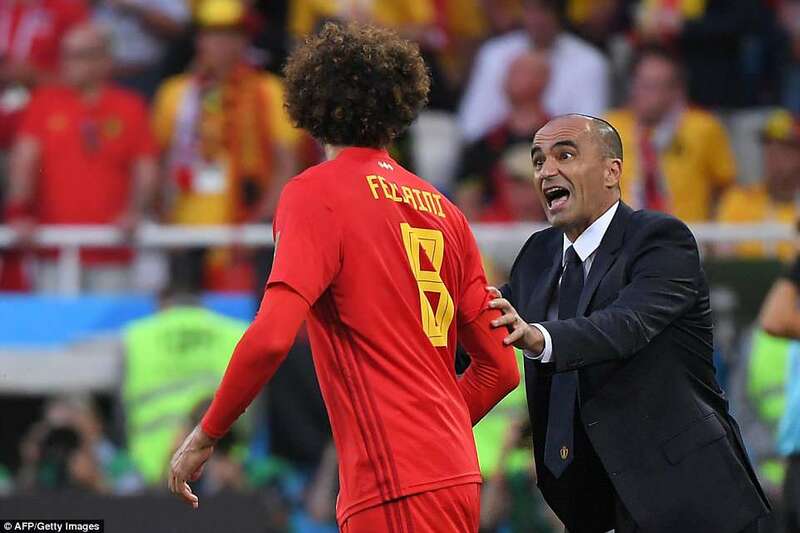 Martinez talked all week as if Belgium would happily slot into second place, then had the best chances of the first half, and played the better football. Admittedly, much of it was keep-ball, cries of ‘ole’ greater extended sequences of passing around at the back or in tame areas of midfield. 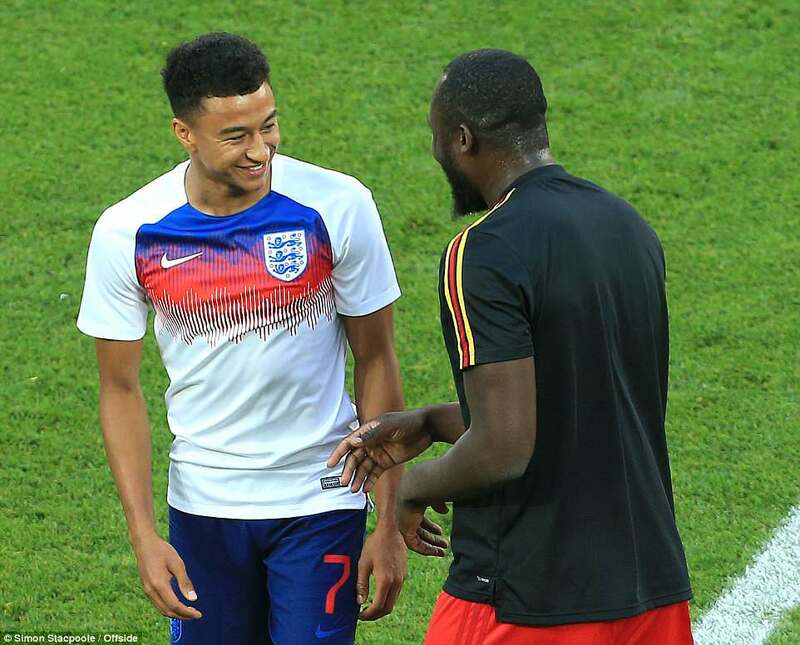 Seeing substitute Romelu Lukaku happily chatting with Manchester United team-mates on the England bench as they went down the tunnel at half-time – and with Rose as the second half was about to restart – summed the game up. It looked like a World Cup match, but didn’t feel like one. It had the air of friendly, or one of those end of season games between two teams moored in mid-table. If there was a winner, there was a winner; but no-one was going to break sweat over it. There are precedents in international tournaments, naturally. In addition to some famous and scandalous carve-ups, there have been games just like this one in which the two best teams in the group – instead of going at it hammer and tongs in the deciding game – let events take their course, with a shrug. In 2006, Holland and Argentina had qualified with a game to spare so, instead of duking it out for group supremacy, played out a 0-0 draw with below strength sides. The loss of momentum hardly served either well. Holland went out in the next round, to Portugal, Argentina were eliminated by Germany in the quarter-finals. 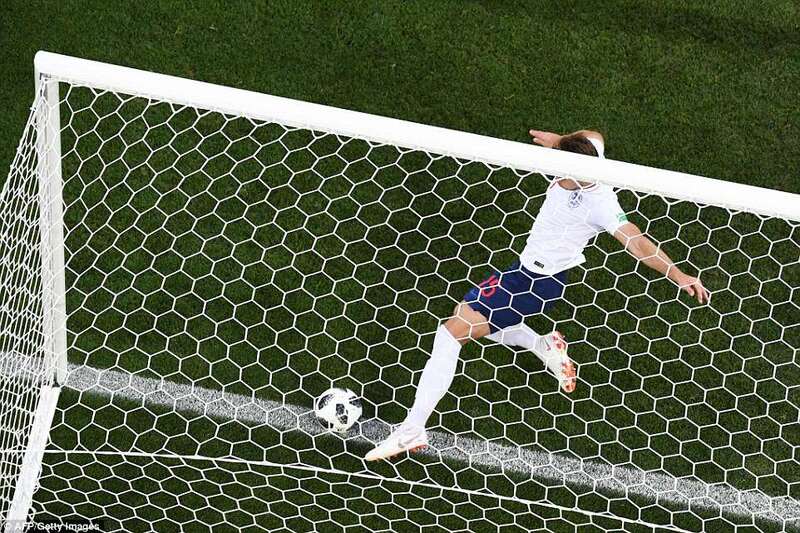 This was the risk Southgate was taking: that by attempting to give his best players a break from the tournament intensity, he would let the air slip from the balloon. 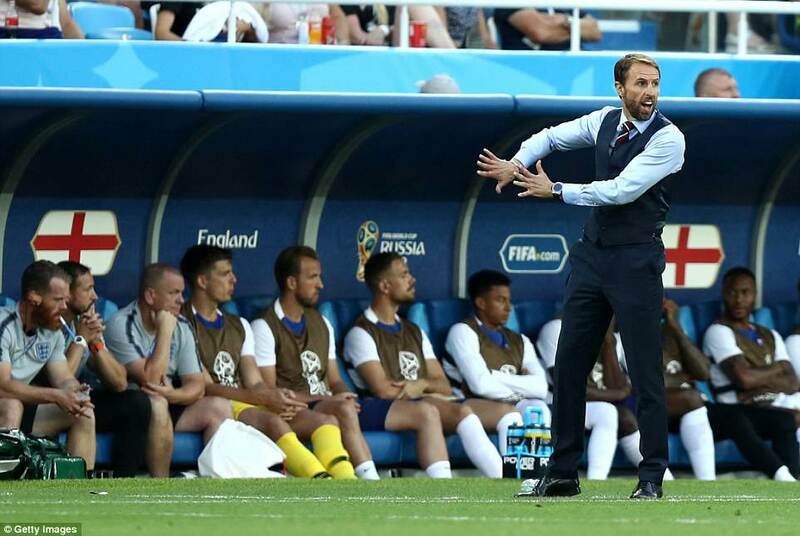 He spoke about the importance of giving game time, even if it was only a matter of minutes, to his squad – but this is a World Cup, not school sports day. Everyone is not a winner; everyone does not get a prize. Yet it is hard to criticise Southgate when Martinez, his opposite No, did exactly the same. 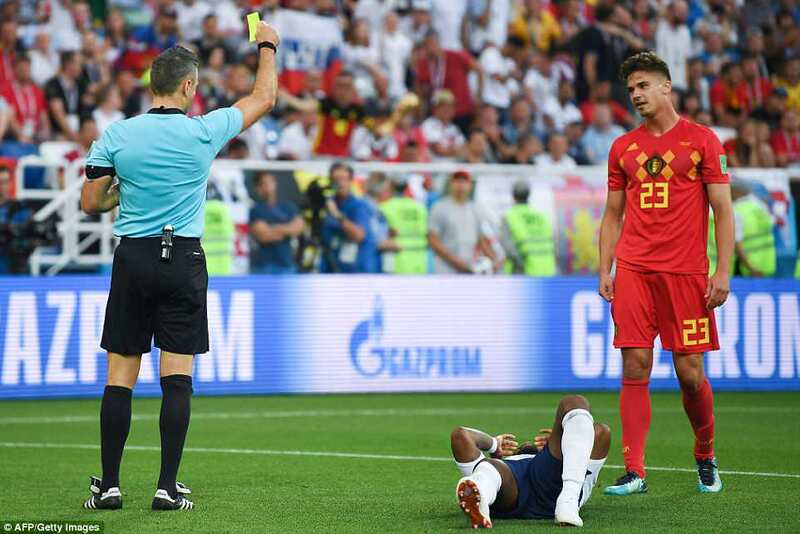 Southgate made eight changes to his last starting line-up, Martinez nine; England’s starting XI had played 557 minutes so far at this tournament, Belgium’s 441. Southgate was giving three players their first taste of this competition, Martinez the same. 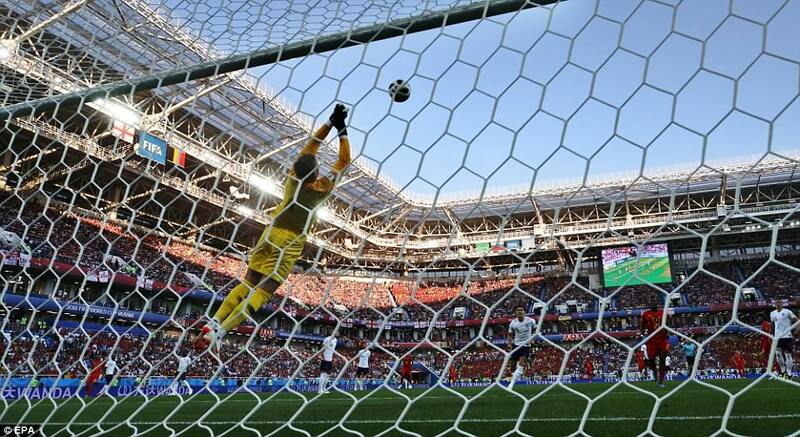 When the game kicked off, Southgate had three members of his squad yet to feature in the tournament, two goalkeepers and one outfield players; Martinez the same. Southgate wasn’t doing anything different to his opposite No; indeed Martinez had announced his plan to make massive changes 24 hours before England played their second group game. 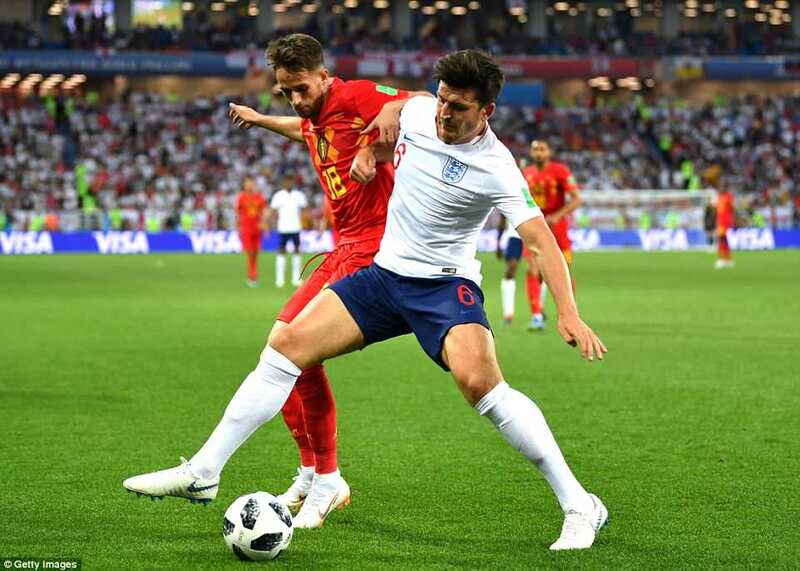 Equally, the need to nurse key individuals through the demands of a tournament was illustrated by John Stones’ disappearance at half-time, replaced by Harry Maguire. He sat on the bench, strapping on his left leg. It would be mad to take a chance in the circumstances. 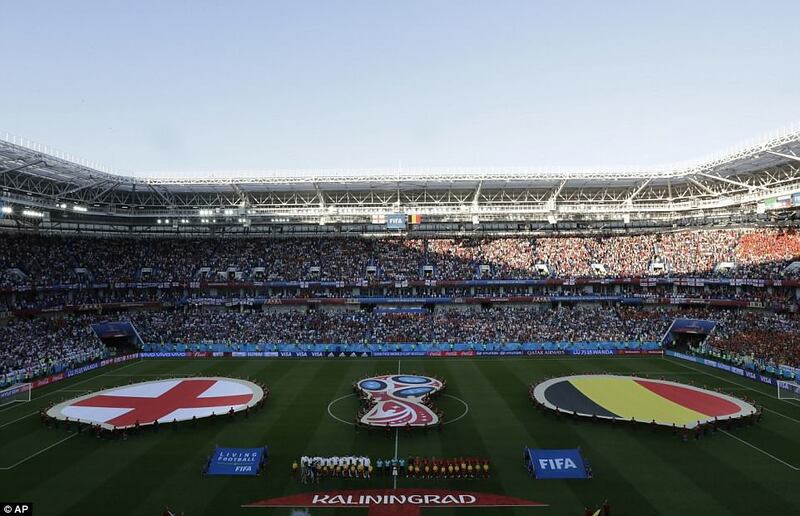 England started well and a poor pass was pounced on by Jamie Vardy after two minutes, his cross kicked clear by Thibaut Courtois – but from that point Belgium were the stronger attacking force. 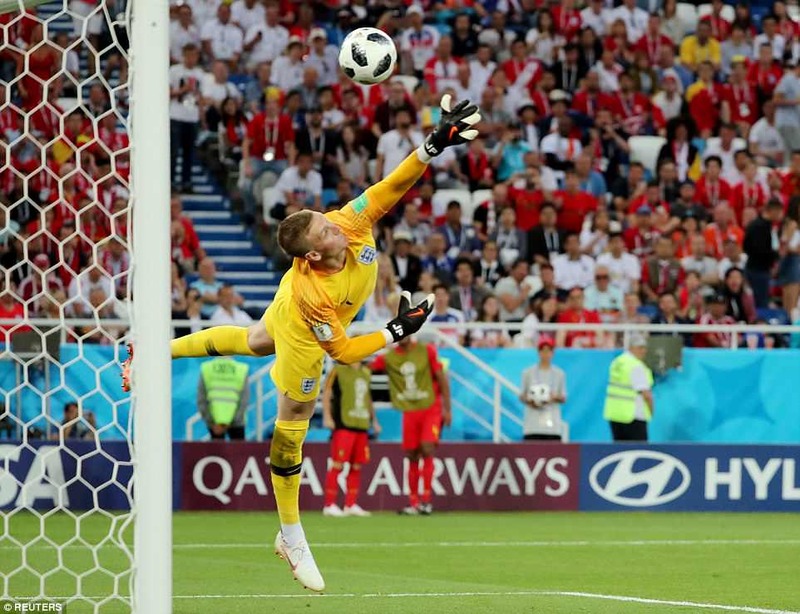 In the sixth minute, Youri Tielemans hit a corking shot from outside the area that seemed to startle Pickford who did well to get his body in the right position to parry. 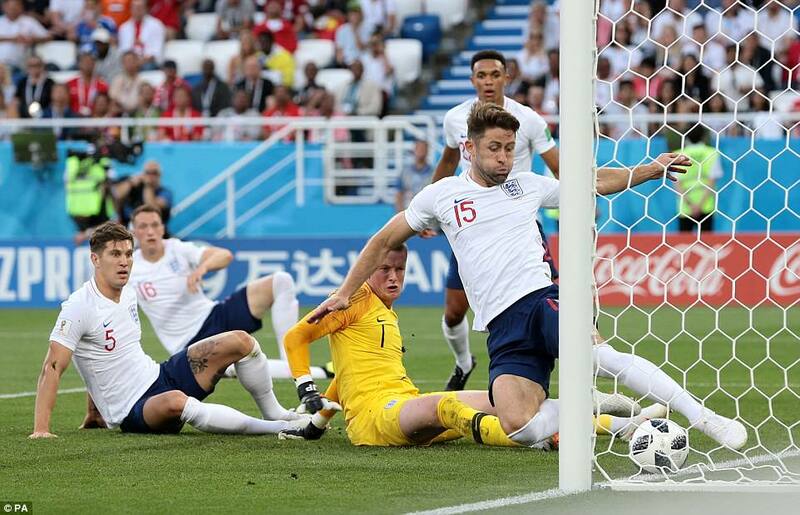 Soon after, a Marouane Fellaini header was close to being turned in by Michy Batshuayi but Pickford smothered it, before losing it, and the ball was cleared off the line by Gary Cahill. The goalkeeper has been very lightly raced at this tournament so far, and this was not his best work. 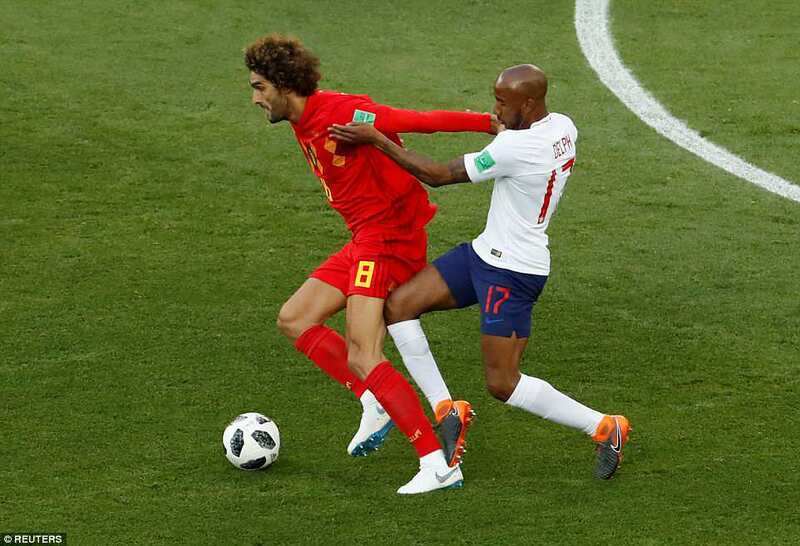 Fellaini continued causing problems, too. In the 27th minute, a corner from Thorgan Hazard somehow dropped onto his chest and he had time to bring it down before his low shot was blocked on its was to goal. All the time, Belgium were picking up yellow cards, adding to the false sense of security that they did not want to win this, Senegal having already exited the tournament having picked up more yellow cards than Japan. 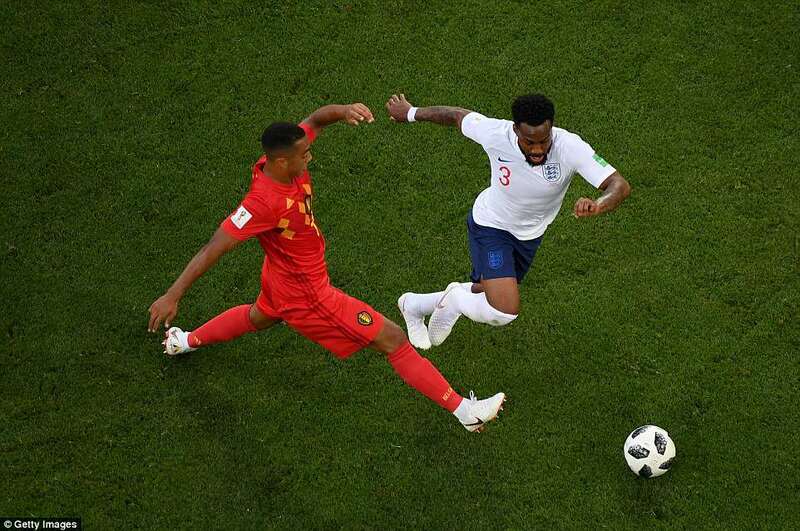 Already one up – so, in real terms, down – on England in bookings, Tielemans and Leander Dendocker were both cautioned for lunging challenges on Rose. England’s best chances, as ever, were from set pieces: a Trent Alexander-Arnold corner met at the far post by Cahill, a Ruben Loftus-Cheek header wide from the same source. 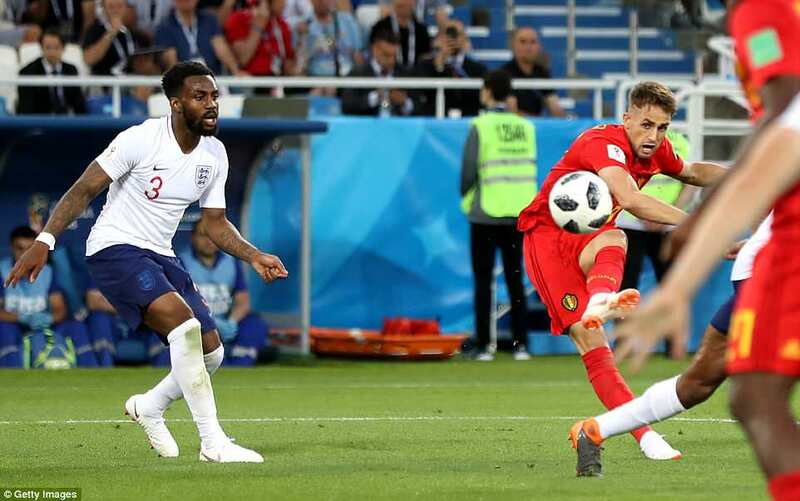 There was a lovely, fluid build-up after 14 minutes that saw Phil Jones feed Alexander-Arnold and Vardy glance a header wide, but Belgium’s reserves had the best of it. 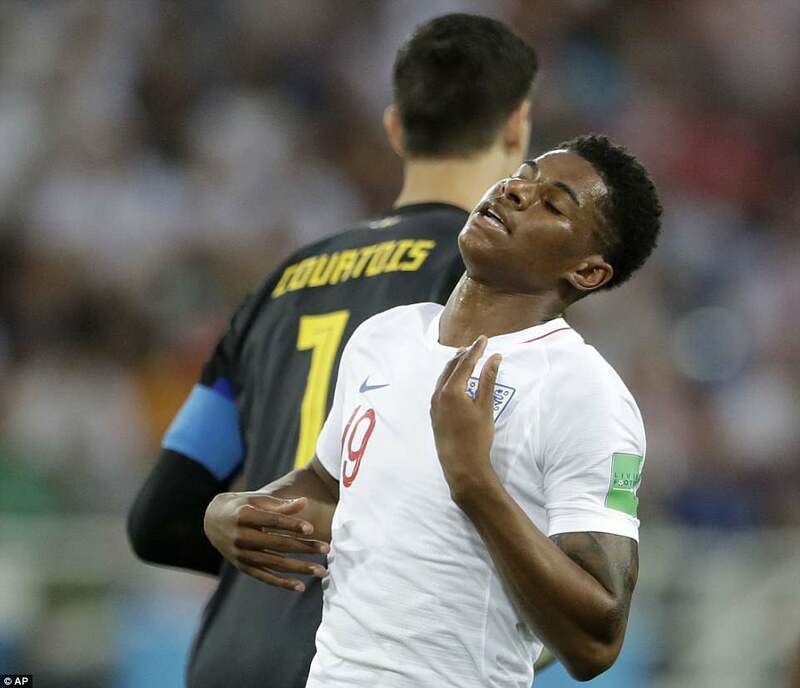 When Rashford curled a shot just wide after 48 minutes, it was a rare moment of inspiration for England.